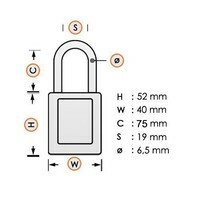 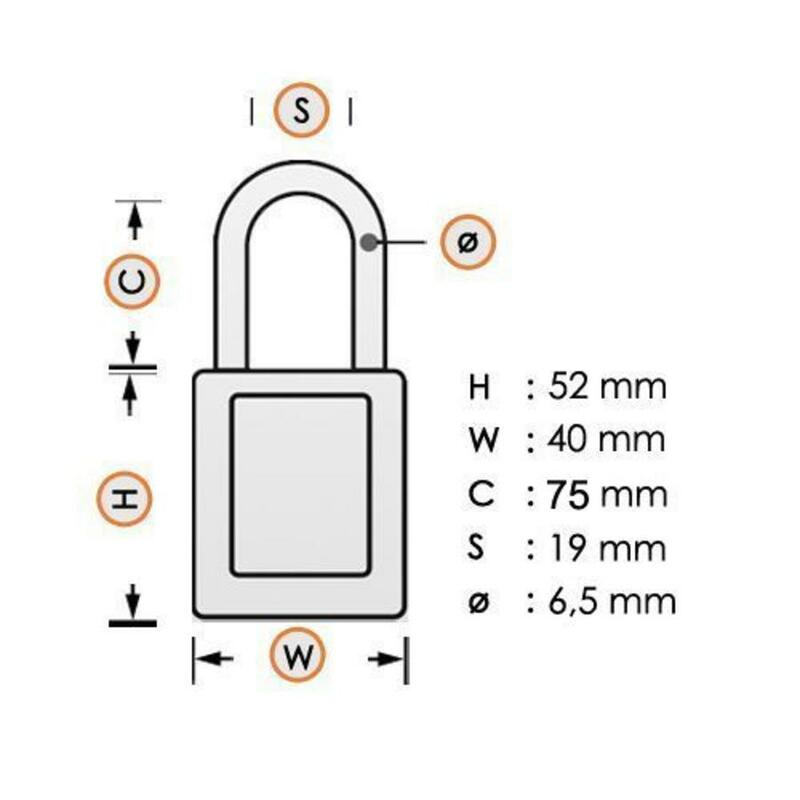 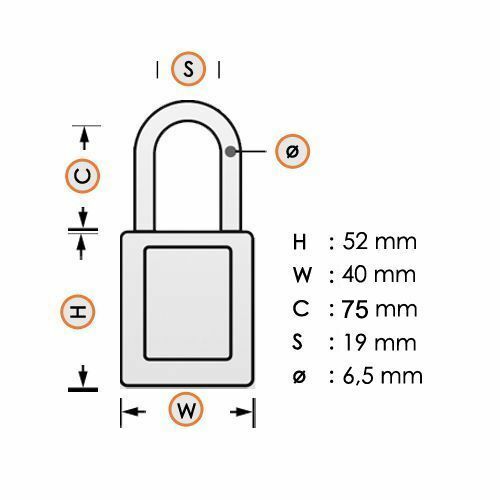 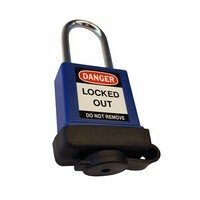 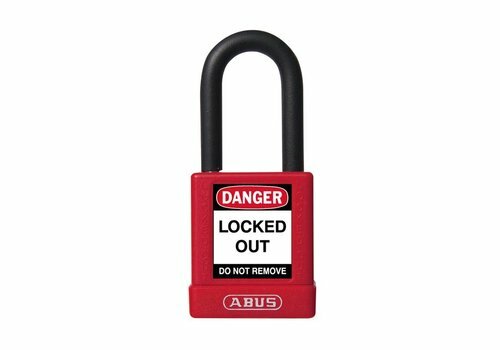 Leight-weight (103g) aluminium safety padlock with red composite cover and (6.5mm) nylon encased steel shackle. 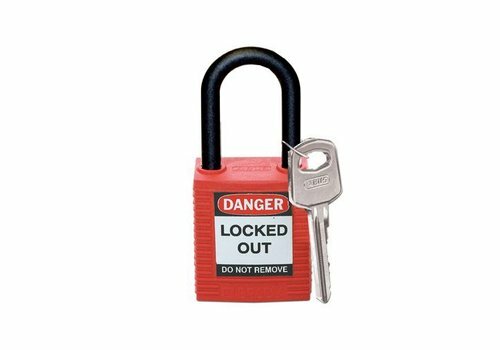 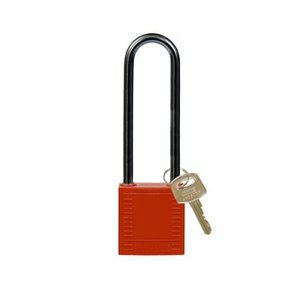 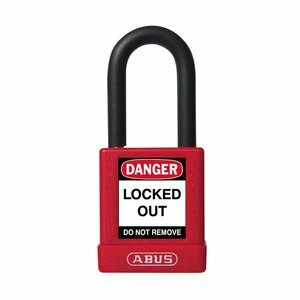 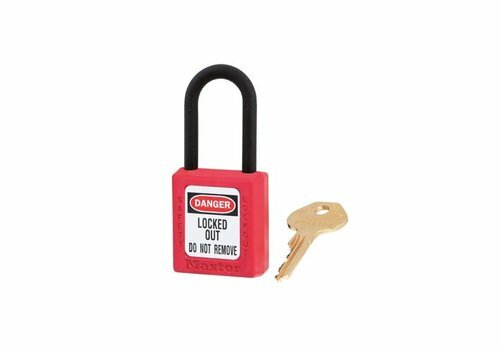 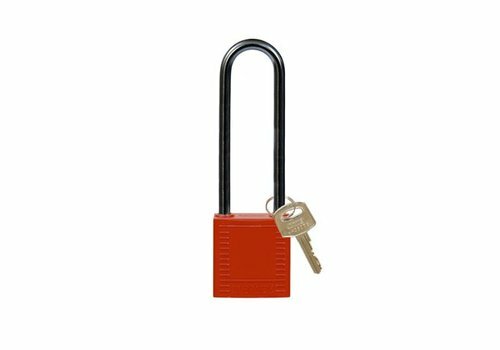 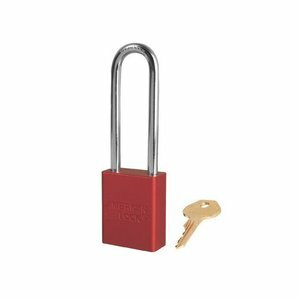 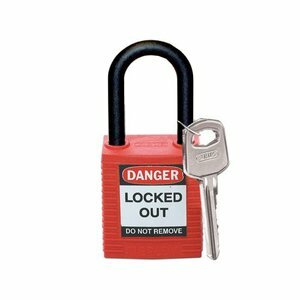 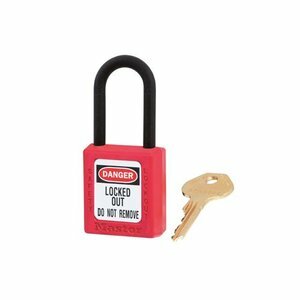 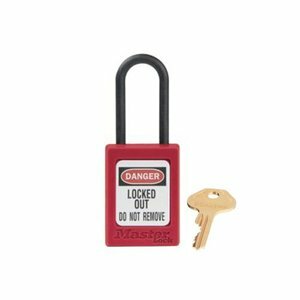 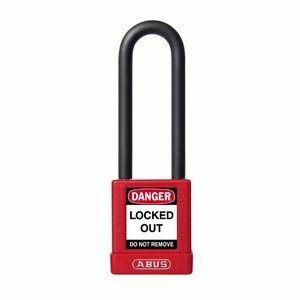 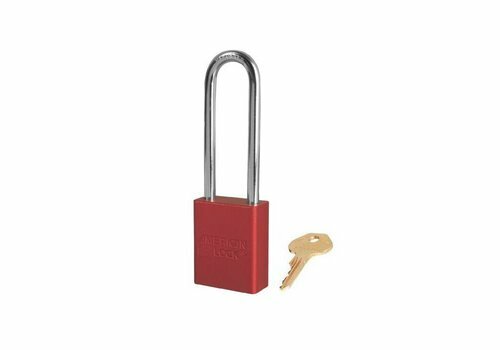 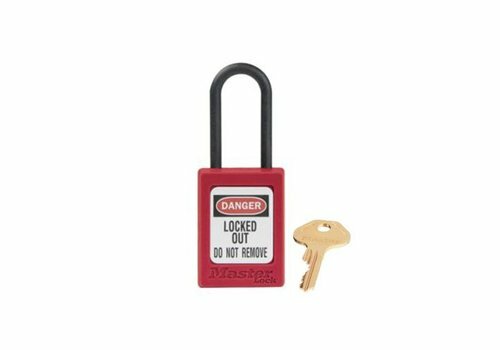 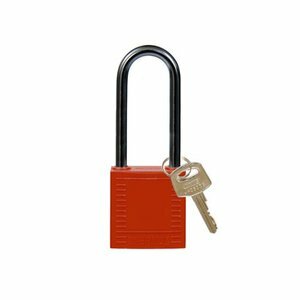 Nylon compact safety padlock red with a (ø 4,70mm, H 75mm) aluminum shackle and key retaining function. 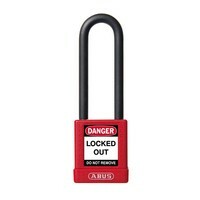 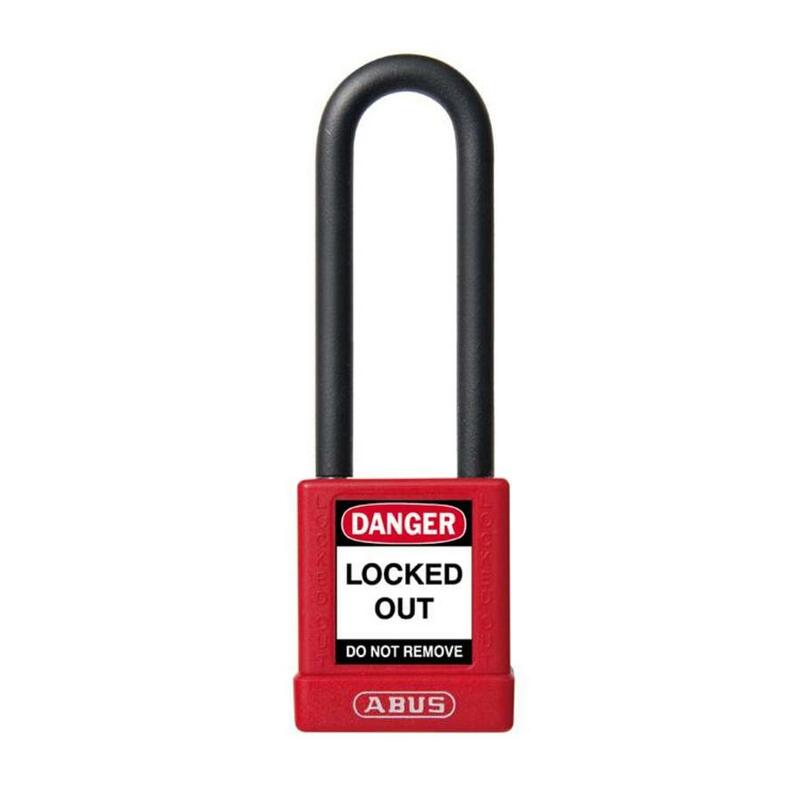 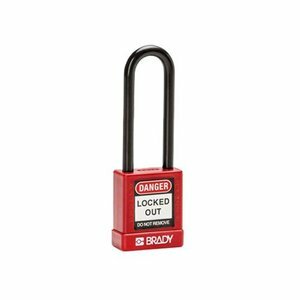 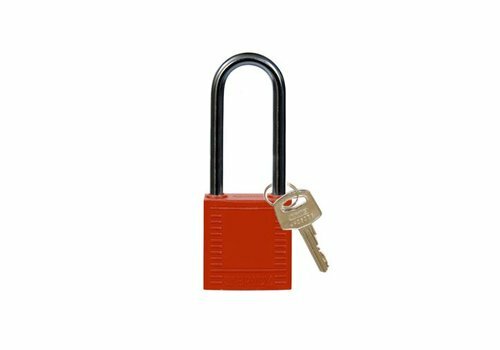 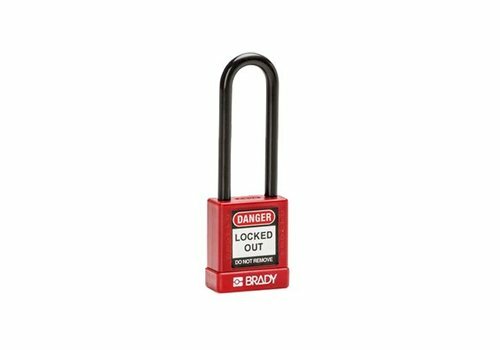 Nylon compact safety padlock red with a (ø 4,70mm, H 50mm) aluminum shackle and key retaining function.